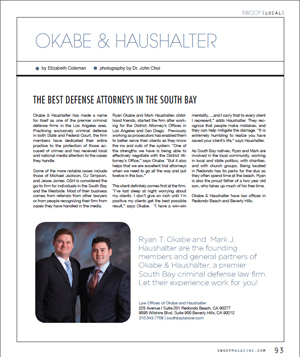 The SF defense law firm is usually highlighted in the news. Read any of the stories and view some of the records! 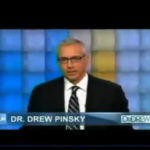 Attorney Mark Haushalter comments on the consequences of teen sexting on the Dr. Drew Show. Ryan Okabe & Mark Haushalter comment on their client Tom Riccio’s involvement in the OJ Simpson investigation. LAS VEGAS – Lawyers for three codefendants in the O.J. Simpson armed robbery case lost a bid Thursday to force prosecutors to turn over audio recordings made by the man who arranged the meeting between the former football star and two memorabilia dealers. The man who represented Rodney King is accused of disorderly conduct.